Dr. Mann has been in practice since 1999 and is a graduate of Life Chiropractic College West located in the San Francisco Bay area. After receiving his Doctor of Chiropractic degree, Dr. Mann practiced in Laguna Beach, California, before opening his practice in Park City in 2004. 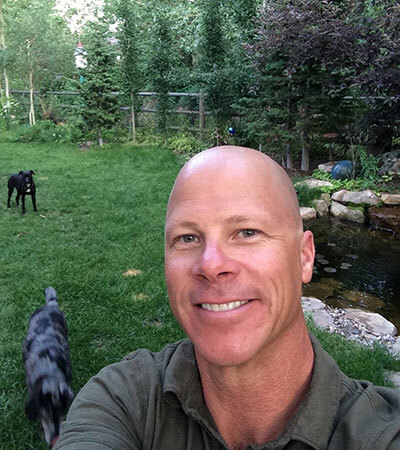 Dr. Mann lives in Park City and like many of his clients, likes to get outside and play hard. Hello, my name is Sean Mann. I am a Doctor of Chiropractic here in beautiful Park City, Utah. I would like to tell you a little bit about my practice and myself. It is such a pleasure to work here and to build a wonderful practice full of interesting people. In 2004, I made the move from southern California, where I had lived most of my life, to Park City. It was a huge change to say the least! Here I enjoy many outdoor activities, such as skiing, mountain biking, hiking and climbing. I have found that because I enjoy these activities, I can relate to those of you active souls who like to get out and play hard. It is my sincere hope to help all those who seek true health and wellness, through chiropractic and additional health adjuncts. As a young kid growing up in Huntington Beach, California, I had the benefit of daily trips to the beach where I honed my skills surfing from the age of eight. Most people don’t think of surfing as a dangerous sport, but take into account the possibility of neck injuries that often occur, and are rarely treated or even recognized at the time of injury. Around the age of eleven years old, I did what is known as a “pile-driver”. I fell off my board, dove down and came to an abrupt stop as my head hit the ocean floor, not good! Years after these types of insults, and there were many, I started to have health issues like headaches and sinus problems. The headaches soon became migraines. I was in bad shape well into my late teens and did what most people in this situation would do; I went to see a medical doctor. In fact, I went to dozens of medical doctors, even a shrink. Most of the advice was the same, pop a pill and check back in a couple of days. This approach provided little to no relief. I suffered for over a decade with chronic daily pain! At the end of my rope, I was told about the benefits of chiropractic with regards to headaches/migraines and other health issues. After my first chiropractic visit, I experienced a complete change in my health. You can imagine my absolute shock, as I had been suffering for over ten years with chronic head pain, then BAM! No more migraines, like someone had flipped a light switch. The MD’s told me it was likely just a “placebo” effect. Right! Shortly after my treatments began, I wanted to know more about my own body, how such problems arise and how the general public could benefit like I did. My chiropractor explained to me how the nervous system controls and regulates the ENTIRE body and ALL of its functions. He further explained to me that if there are any restrictions within the spinal column, that the immune system can and will likely perform at a less than optimal level. My personal issues of migraines and sinus problems were the result of multiple neck traumas, which put restrictive pressure on the very nerves that control and modulate the flow of information from my brain to those areas. I was intrigued, was it really that simple? My body wasn’t short on painkillers, as the medical doctors would have me believe, but instead I had multiple “subluxations” present within my cervical spine and back. My chiropractor further explained to me that drugs only mask the symptoms and do NOTHING to correct the underlying problem. It is my unrelenting belief that the body is a self-regulating, self-healing organism that can and will heal its self, given half a chance. I will go as far to say that ALL dis-ease is related to the nervous system being under unnecessary stress due to the presence of one or more spinal subluxations and inflammation. The long and short of it is this, if you or someone you care about has a spine, please have it checked for subluxations at once. This is my story, thanks for reading it. Park City offers many activities that can lead to injury and often do. Dr. Mann understands the mindset of his clients who like to maintain a high level of physical activity and feel good while doing it. He understands how important it is to get an injured person back into shape after an insult, and the quicker the better. Dr. Mann has developed a unique and comprehensive system of recovery and therapies to accelerate the healing process- “Doctor, heal thyself”. His years of experience in treating a wide range of injuries has allowed him to develop this thorough method of treatment, consisting of Chiropractic adjustments, stretching and other techniques, such as cold laser therapy and Vibra-Cussor™ percussive therapy, which heal and correct many common injuries. Dr. Mann has a genuine belief that the human body is a self-healing, self-regulating system that can and will heal when the nervous system is free of any and all restrictions. 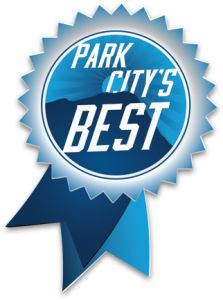 It is understood that many clients in Park City are looking for more than an “aches and pain” type of doctor. At Chiropractic Works, everyone is treated as an individual and a person’s specific needs are always taken into account during treatments. Dr. Mann would love the opportunity to show you what a difference chiropractic care can make, regardless of your current state of health – perceived or real! Learn more about chiropractic treatments at Chiropractic Works.